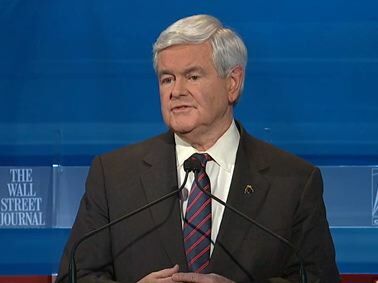 Gingrich On Food Stamp Comment: "Among The Politically Correct, You Are Not Supposed To Use Facts That Are Uncomfortable"
Newt Gingrich: Juan, the fact is that more people have been put on food stamps by Barack Obama than any President in American history. I know among the politically correct you are not supposed to use facts that are uncomfortable. Second, you are the one who earlier raised the key point. There's an area on I-73 that was called by Barack Obama as an area of shame because of unemployment. Has it improved? No. They haven't built a road, they haven't help the people, they haven't done anything. One last thing. So here's my point. I believe every American of every background has been endowed by their creator with the right to pursue happiness, and if that makes liberals unhappy, I'm going to continue to find ways to help poor people learn how to get a job, learn to get a better job and learn some day to own the job.